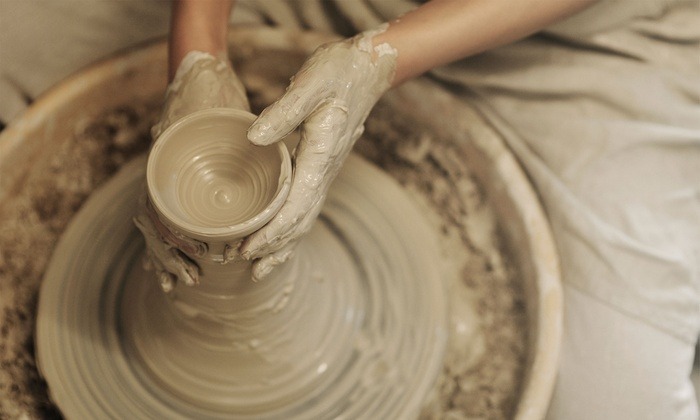 Over the course of this class students will learn the basics of throwing on a potter’s wheel. Whether you are a beginner or an intermediate level student, this is the class for you. Students will learn the basic techniques needed to centre, throw and trim a pot, providing them the skills needed to make basic forms such as cups and bowls. For students who are familiar with throwing, help will be given to improve basic throwing skills and create handmade tools that will allow them to create complex forms and designs. Students will also learn basic glazing and finishing techniques and will leave the course with several finished pieces of functional pottery. The Centre provides all tools, equipment, glazes and firings. Students purchase clay from the Centre.